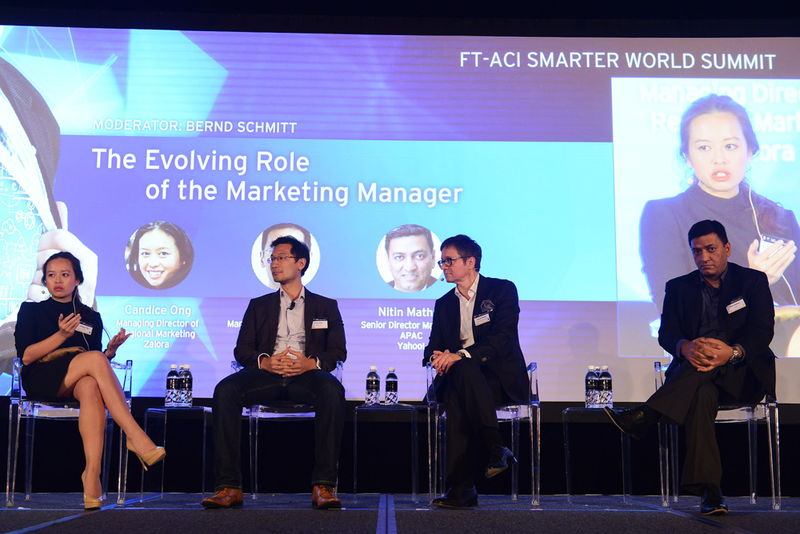 The FT-ACI Smarter World Summit 2015 in Singapore saw more than 200 visitors and a host of keynote speakers gathering together at the Intercontinental Hotel. 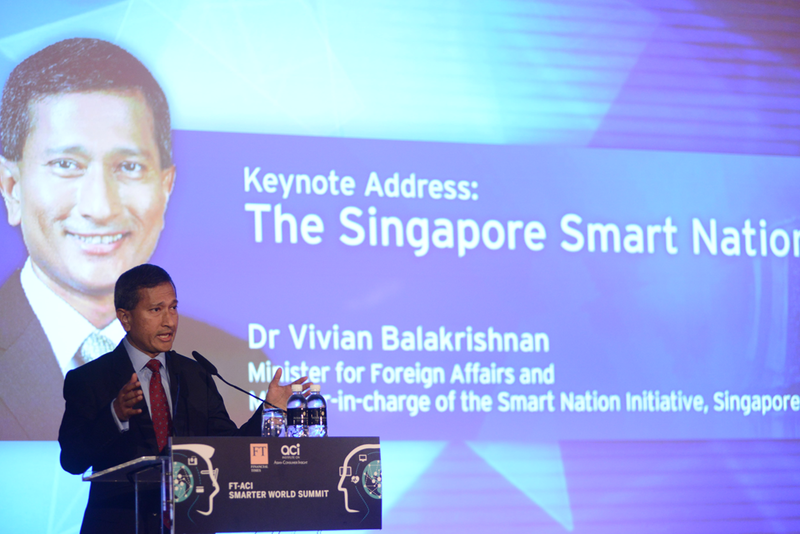 The conference did feature a keynote by Dr. Vivian Balakrishnan, minister of foreign affairs and in charge of the Singapore Smart Nation Programme Office. His keynote provided an excellent framework for what smart thinking about a smart future could be. 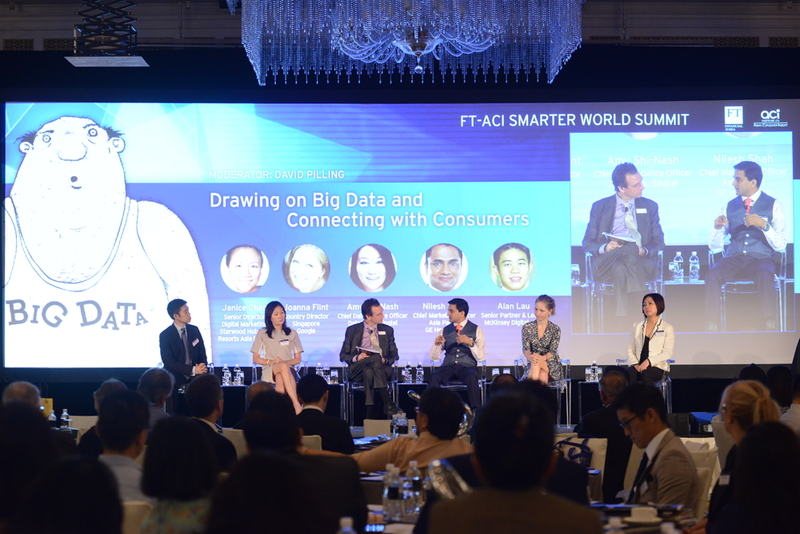 The summit is organised by the Financial Times and the ACI, The Institute on Asian Consumer Insight. 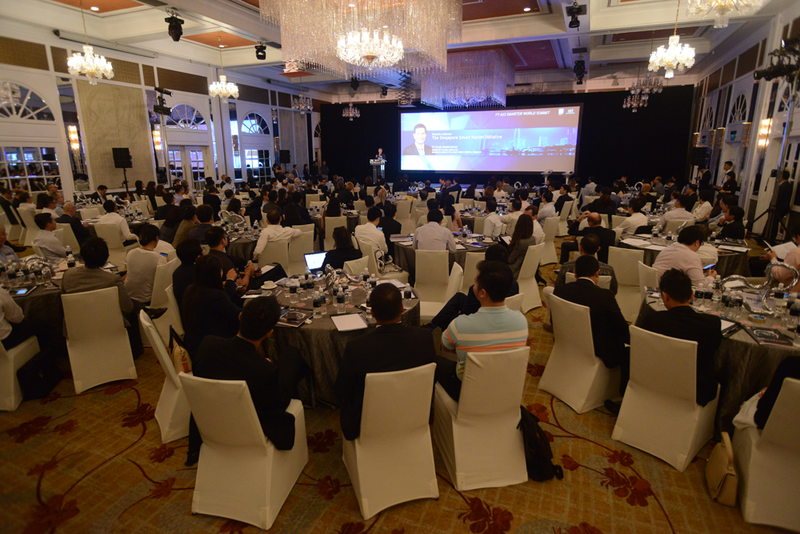 The Intercontinental Ballroom has that distinct feel of history, which is the perfect entourage for a conference that looked primarily at how technology will affect society and can make the world a smarter place. Let me say one thing upfront. Contemplating about the future of things to come based on what we have historically seen and know today, is always a bit tricky. No one can verify the value or the accuracy of the visions and ideas presented on stage. The proof of the future pudding will always be in the eating, and presently we’re still in the process of baking it. In general however the moderators, David Pilling and Bernd Schmitt, did a good job in keeping the discussion focused and meaningful. The topics covered are fascinating by any measure. 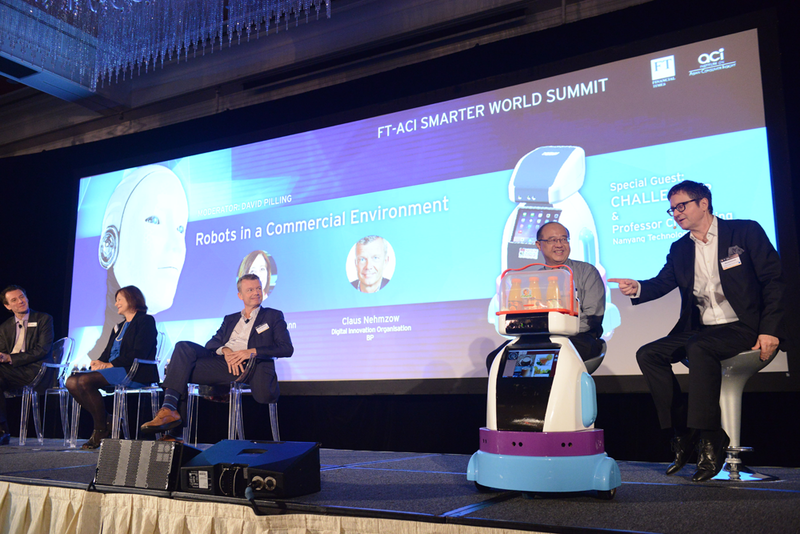 If you start listening to speakers and panels talking about 3D printing, autonomous vehicles, robots, the internet of things, smart homes and smart cities, super humans, cyborgs and artificial intelligence, it is hard not to get excited and scared about the future, at the same time. 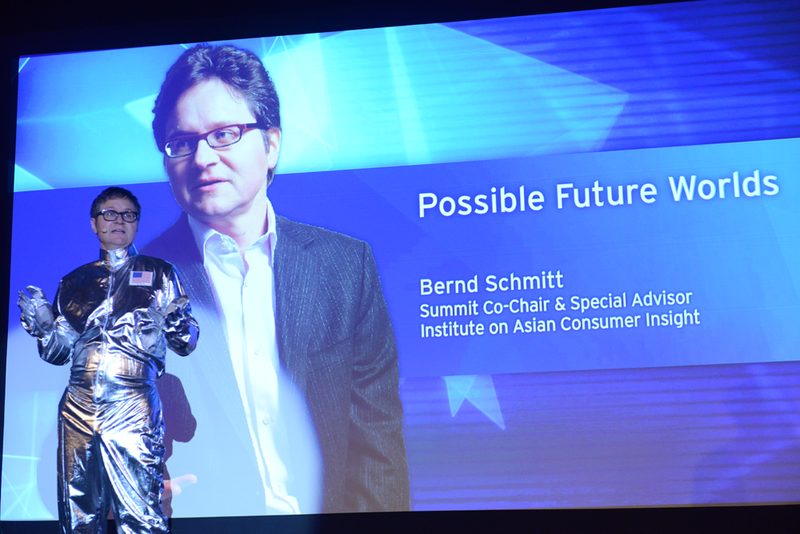 Bernd Schmitt, Special Advisor at the Institute on Asian Consumer Insight (ACI), loves the lime light. 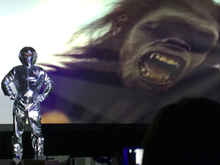 He opened the show, appearing on stage dressed in a silver robot-like costume, accompanied by music and sound effects. He kicked off by referring to Kubrick’s 2001 a Space Odyssey, according to him one of the most important science fiction movies of all times. This movie is important because it predicted a few concepts, like the iPad, correctly decades before they appeared. During his performance he set the stage for the topics and the agenda we could expect throughout the day. 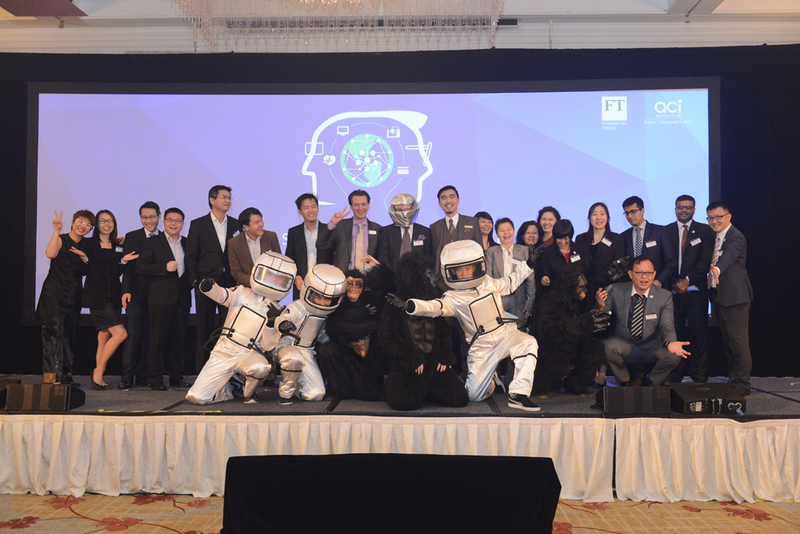 While Bernd Schmitt presented a list topics and eluded to the accelerated speed of change, the keynote of Dr. Vivian Balakrishnan put things really in perspective. He provided a historical, economic and social framework around the actual impact of technological change. He managed to convey a sense of urgency by putting the current speed of change in our society at all levels, induced by technology, in a historical perspective. He started with the observation of the effect the Internet has on us. “We have outsourced our memories,” he stated, referring to articles recently published that describe how we turn to our smart phone instead when we try to remember something. “Who does remember the phone number of his office?” he asked the audience. Referring to economics he said that technology has increased productivity but at the same time on the stock markets, return on assets is in decline. The productivity gain is unevenly spread and the middle class is suffering from this the most. We live in an age where data is the new currency and companies create more value in under two decades than they did previously in over a century. Look for instance at Google. Dr Vivian continued by stating very simply that the first revolution we went through as human beings, was the shift from hunting to agriculture. That change started some 8000 years ago. The next change hit us during the industrial revolution that started some 250 years ago. Today were are in a technological revolution that only started 20-30 years ago but the speed of change has dramatically accelerated. We are now living in the midst of a revolution that is going to change and affect everything and as a society we need a sense of urgency when it comes to dealing with it. We are in uncharted territory which makes it all the more important to act. Dr Vivian continued explaining why Singapore has started the Smart Nation Programme. As a nation Singapore is ideally sized and placed to prepare for the changes that are around the corner. No we’re not going to be Silicon Valley, because we simply don’t have the same circumstances here. We will build on our strengths as a nation, one of them being that as a government we are extremely transparent. (1) We will be a safe, secure, reliable and honest environment for data storage. (2) We will maximise transmission and transportation capabilities using the 12% of land, set aside for this purpose. (3) We will address the challenge coming with a rapidly aging population, so we focus on improving the delivery of healthcare with a focus on the more senior part of the population. He concluded by stating that if one looks at how companies today emerge and grow, it is clear that technology forces you to take a start-up perspective. That is why, he explained, Singapore will have to learn to adapt to a culture where failure is accepted. Only if we try, fail fast and fail often, learn and move on, will we be able to continue playing a role in the global economy. As stated before, it is hard to judge whether any of the opinions during the panel discussions and keynotes is of value when you talk about the future. We did get some interesting points of view though. Among the highlights was the discussion about robotics. Claus Nehmzow, director at the digital innovation organisation at BP, explained how in the offshore industry robots are very useful to replace humans in dangerous environments, which helps saving human lives. Most of us will be happy to define a robot as an embodied computer but during the discussion it became clear that there are robot variants emerging, that may not fall under that definition but in reality do things autonomously and with a certain type of intelligence, such as self-driving cars. And what about things like exoskeletons that will help creating “super-humans”? In most discussion the topic of technology-fear came up. For every example of how technology can deliver great things, some other examples exist of abuse. 3D printing e.g. can produce prosthetics. But you can also print guns with them. The proliferation of nuclear weapons has been contained up until now because of its complexity. But that constraint is not necessary there for all technology that we develop or will develop. All throughout the growing use of data, privacy concerns and a growing concern on the real impact of technology featured in the discussions. One interesting observation came from Jonathan Sim, research officer at Nanyang Technological University. He postulated that the introduction of the washing machine in households led to the rise of the ‘housewife phenomenon’. He said that instead of having time to relax, the cleanliness made possible by technology raised overall cleaning expectations in households. As a result women stayed home and ensured that these expectations were met. He then eluded to the fact that the rise of technology comes with often unrealistic expectations around productivity-increase and efficiency. We work more than ever, are more connected than ever with the rising connectivity and the question is if that is a good thing. Digital technology has also altered the way marketing works. 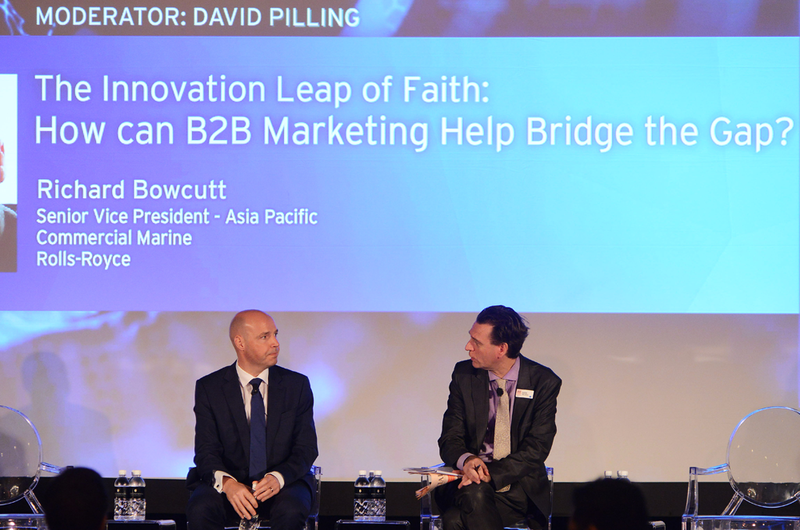 In a panel ‘The Evolving Role of the Marketing Manager’ discussion and then a presentation by Richard Bowcutt from Rolls Royce Marine the current challenges for marketing were outlined. Bernd Schmitt stated that the customer focus, marketing strategy and the 4Ps have each changed and asked the panel members to comment on this. The panel confirmed that things have changed. That with the use of data e.g. the real time personalisation of messages is now a requirement more than a nice to have. But the future and how marketing could become smarter through the use of technology, remained unfortunately off limits in the discussion. Instead the focus was more on how current technology and social media have changed the job of any marketing manager, seemingly overnight. 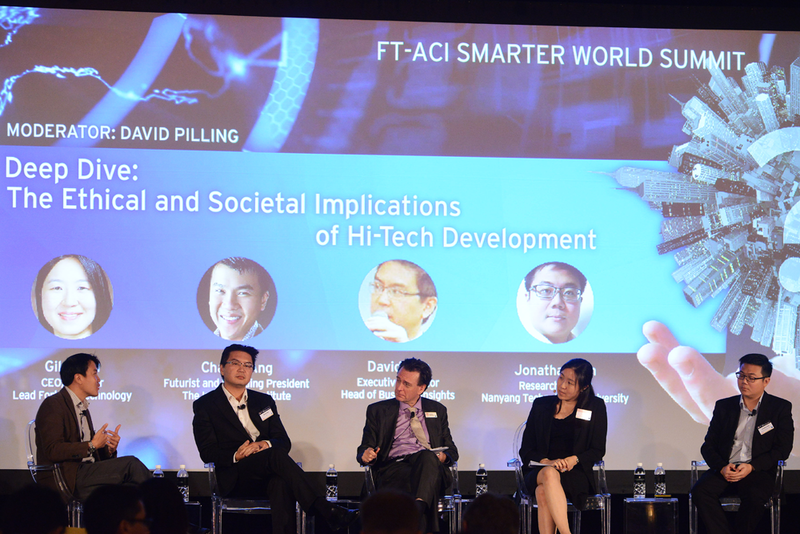 The FT-ACI conference was certainly an event full of energy and with a very senior audience. Discussions during breaks and the after-event networking cocktail were very focused and informative. There were topics that were not discussed like the opportunities for a smarter world in the areas of nano-technology, bio-technology and quantum computing. But maybe that would have stretched the conference beyond the capacity of what a smart human being would be able to absorb. To repeat the words of Dr. Vivian Balakrishnan, we are in uncharted territory. The conference certainly gave the participants enough input to become more sensitive to changes that are just around the corner, in combination with a sense of urgency to stay alert.